Turkish ground handling services company Celebi Aviation Holding expects India business to triple once the new ground handling policy kicks in and more domestic airlines choose to outsource their ground handling services to third-party agencies. 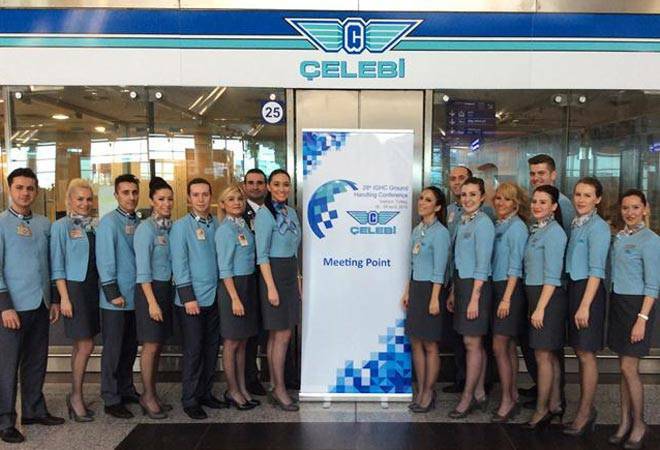 Turkish ground handling services company Celebi Aviation Holding expects India business to triple once the new ground handling policy kicks in and more domestic airlines choose to outsource their ground handling services to third-party agencies like Celebi Aviation, Bird Group or Menzies. In 2015, the government introduced draft ground handling policy but it is still waiting to be implemented. The policy says that airlines will not be permitted to use outsourced manpower taken from contractors that are non-bonafide and non-certified. Instead, the policy says that the airlines can either do self-handling or engage certified firms. The policy also mandates that big airports must have at least three certified ground handling agencies - two for smaller airports - to eliminate monopolistic situation. At the moment, domestic airlines like IndiGo, GoAir and others are dependent on contractors for ground handling while national carrier Air India has its own captive ground handling subsidiary - AIATSL. "The government has said to airlines that if they want to do self-handling, they have to take this workforce on their rolls," says Murali Ramachandran, CEO (India) of Celebi Aviation adding that "we have been telling airlines that if you want to do self-handling and take on 5,000 people on your rolls, it's prohibitive." Globally, except in the US, airlines focus on their core aviation business while outsourcing other services to specialized agencies. Ramachandran says that since ground handling constitutes a small percentage of airlines' overall costs - about 1.5-2 per cent - they have not been able to make a correct assessment of the costs. "Catering forms a much larger piece than ground handling. Some people will choose to do self-handling. In a way, we make airlines capital-averse," he says. According to rough estimates, if the smaller airlines want to do ground handling on their own, it would cost them $6-7 million for each airport. "They might be using the equipment for just one hour a day, and for the remaining 23 hours, the equipment will be lying idle. They don't get to utilize those equipments in the best possible way. This is our core business. We can pass on the cost benefits to the airlines that we accrue due to the economies of scale," says Ramachandran. Celebi Aviation was one of the first companies to show interest in acquiring AI's ground handling arm.